Syros is advancing a new wave of medicines to control the expression of genes with the aim of providing a profound and durable benefit for patients, and we are building a pipeline of gene control medicines for cancer and genetic diseases. Syros is pioneering the understanding of the non-coding regulatory region of the genome to advance a new wave of medicines that control the expression of genes. 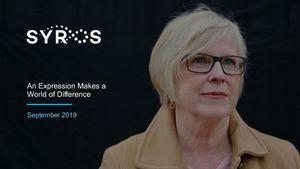 Syros has built a proprietary platform that is designed to systematically and efficiently analyze this unexploited region of DNA to identify and drug novel targets linked to genomically defined patient populations. Because gene expression is fundamental to the function of all cells, Syros' gene control platform has broad potential to create medicines that achieve profound and durable benefit across a range of diseases. Syros is currently focused on cancer and monogenic diseases and is advancing a growing pipeline of gene control medicines. Syros' lead drug candidates are SY-1425, a selective RARα agonist in a Phase 2 clinical trial for genomically defined subsets of patients with acute myeloid leukemia, and SY-1365, a selective CDK7 inhibitor in a Phase 1 clinical trial for patients with ovarian and breast cancers. Syros is also developing a deep preclinical and discovery pipeline, including SY-5609, an oral CDK7 inhibitor, as well as programs in immuno-oncology and sickle cell disease. 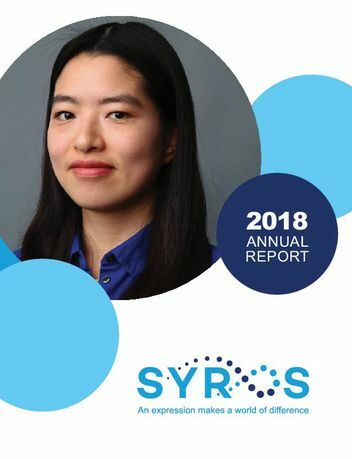 Led by a team with deep experience in drug discovery, development and commercialization, Syros is located in Cambridge, Mass.